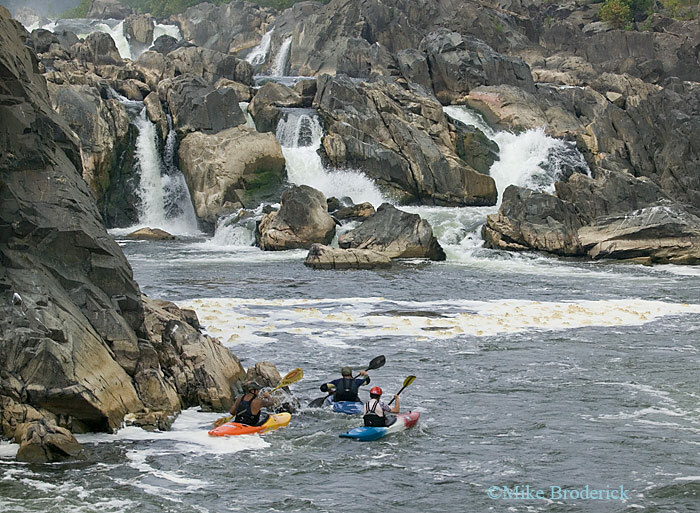 On the Potomac River, less than twenty miles from the hustle and bustle of Washington, DC is Great Falls National Park. It looks very wild, there's not a whiff of politics or monuments in the air. When the United States was a new country, the Falls were an obstacle to plans to use the river to transport freight. 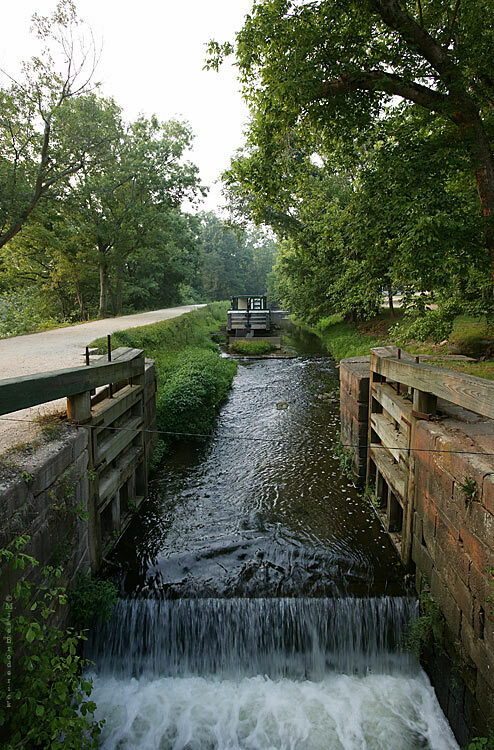 George Washington was heavily involved in a plan to build a canal with locks to bypass the Falls and raise or lower boats. The canal was never a commercial success, but it is still there. The path next to the canal is now a path for hikers and joggers, rather than towhorses. 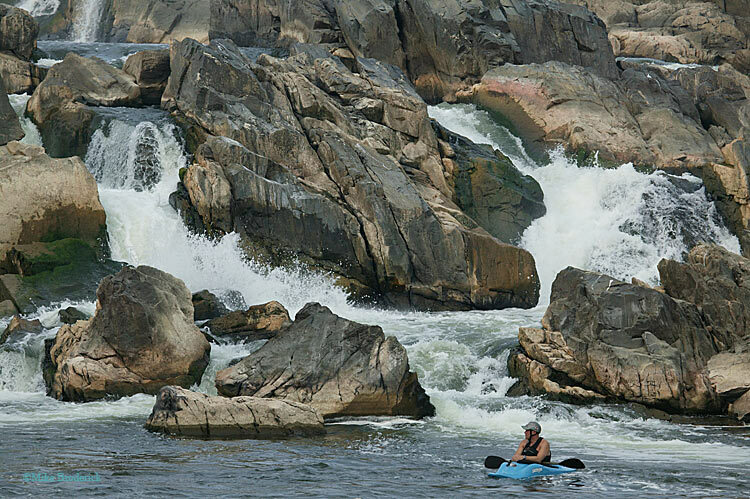 The Falls area is popular with kayakers. The ones I saw maneuvered close to the Falls, but didn't run them. I am told that some kayakers run the Falls successfully, but I can't imagine it! Rather than run the Falls, I would prefer to paddle around them and enjoy a closeup view of the spectacle, like this guy is doing. A wonderful series of photographs Mike and it is hard to imagine that there is such wild beauty in Wash. D.C., who would have thought? I certainly did not know this was there. A shame that this is where it is in a way. When one thinks of D.C. they think of stuffy crooked politicians, corrupt legislation, wasteful spending of our unjustly imposed tax dollars, and crime or at least I do. Thanks Mike for bring this beauty in a surprising place to our attention. Hi Mike. Great images. In October this year I will be in Washington D.C. for two days and want to make the most of it. Your images are enough to make me want to go and 'shoot' the great falls (with my camera not a canoe). I understand you can travel down both side of the river. What side do recommend for photography? Sorry it has taken nearly 5 years to answer your post.